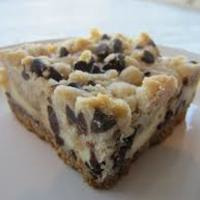 Have you ever tried Cookie Dough Cheesecake? I have not, but it sure sounds like an awesome profile to tackle. This recipe did not disappoint! The very first version I created was really good. I just knew I could make it better. After playing with percentages, as well as adding in Cap butter cream and TPA Brown sugar, I felt it was complete. Cap NY Cheesecake with FW Vanilla bean ice cream are a match made in heaven in this mix. Along with TPA Graham cracker clear for a delicious creamy cheesecake base. CAP Super sweet is of course optional if your not into sweet vapes, although I feel it fits the profile well. I also used super sweet at .25 on previous versions which worked quite well. This recipe to me was very good immediately, but as always, the creams and the awesome NY Cheesecake comes out after a few days to a week. I hope this recipe gets mixed up in the community. Please leave any feedback you may have if you choose to mix my recipe. Thank you in advance! This recipe is the property of corvape and released under the CC Attribution-Noncommercial 4.0 license. You may not copy, derive or commercialize this recipe without following the terms of this license or the explicit permission of the creator. Very interesting flavor profile... Great off the shake and I'm assuming it'll only get better! Nice job! I had to make this without the bourbon, but it still holds up as a delicious chocolate chip cookie dough. I always keep at least 6 flavors going simultaneously, and I still went through my 10ml sample of this in one day. They usually last 3 if they're good, lol.